I’ll be the first to admit I’m given to hyperbole, but on this occasion I’m free of exaggeration. This 5508 is about as perfect as they come. 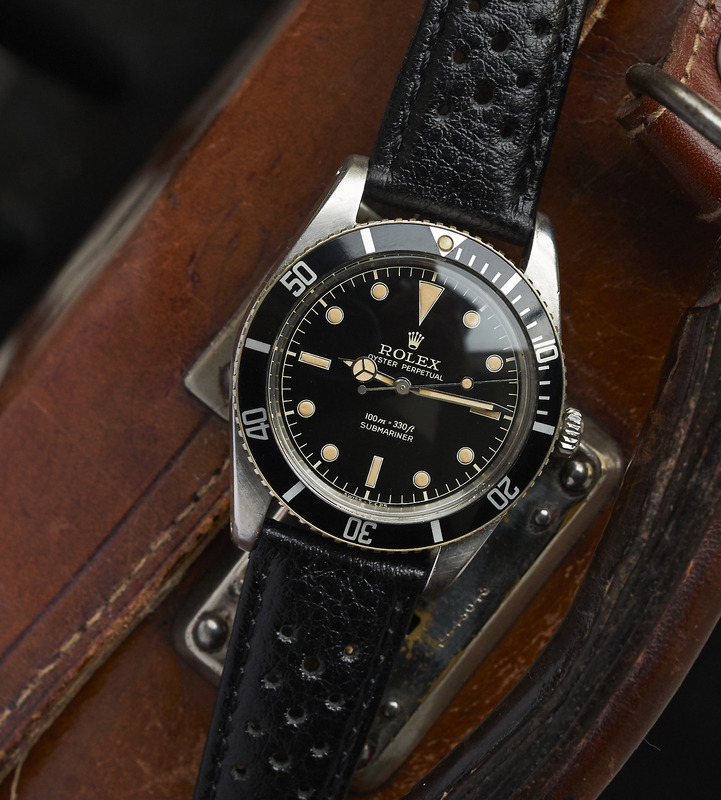 The small-crown sub is a cult favorite amongst Rolex collectors and for good reason. The 5508 was the genesis for all modern submariner design. Not just for Rolex, but hundreds of brands. Some prefer the red triangle bezel, but this all-black example is a little more stealthy and dress-appropriate. With values exploded, they are becoming rarer and rarer daily. This example is the definition of investment quality. The tritium gilt dial is better applied than most, more evenly aged, and matched perfectly to the hands. Even the still-present pearl matches to a tee. The case is untouched and hardly worn. The original crown stands unmarked. The case back shows service marks while the movement shows no ageing at all. Honestly, if I were in a position to invest, this might be the one. Find it here from Rarebirds for an undisclosed sum (likely the better half of 100 000 USD).